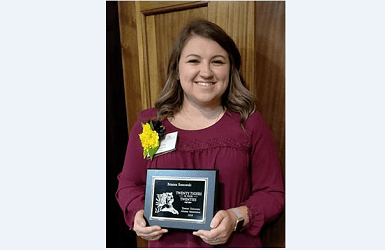 Brianna Sosnowski, a special educator at Gunpowder Elementary School, is among the Twenty Tigers in their Twenties recently honored by the Towson University Alumni Association. The program is designed to honor Towson University alumni, between the ages of 20 and 32, whose achievements have significantly enhanced their professions, communities, and/or Towson University. Sosnowski graduated from Towson University in 2014 with a bachelor’s degree in early childhood education and special education. 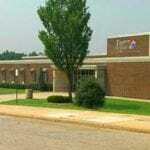 She immediately joined Baltimore County Public Schools as a special education teacher. While working for BCPS, Sosnowski has earned a master’s degree in leadership in special education from Notre Dame University of Maryland and has earned certification to teach students with dyslexia. Since 2015, she has volunteered as the special needs coordinator of Angel Park, a community-built playground in Perry Hall. In this role, she helped design the accessible parts of the playground and has organized special needs groups and events. She continues to volunteer her time as a park board member who assists with park events and fundraisers. In addition, Sosnowski teaches children ages 3 to 11 at The Moving Company Dance Center, and is the head coach of the nationally-ranked dance team at The Catholic High School of Baltimore.